One of the most awaited news in the Barcelona’s Mobile World Congress is the new version of the Sony’s flagship, the Xperia Z1. The new device, the Xperia Z2, keeps the name and design of its predecessor. While the external style is very similar, the interior is fully improved. The Xperia Z2 has a larger screen, 5.2 inches, while maintaining the same physical dimensions of the previous model. Sony continues using the Triluminus technology, in a 1920×1080 pixels display. The Xperia Z2 runs a quad-core Snapdragon processor 801, at 2.3 GHz, and has 3 GB of RAM and 16 GB of internal memory, expandable via microSD card. Powering the smartphone, there is a 3200 mAh battery, all in a device only 8.2 mm thick. 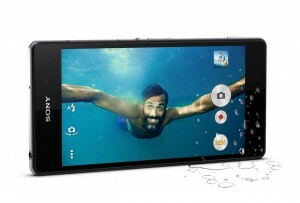 It includes the 20.7 MP camera along with the large 1/2.3″ Exmor RS™ sensor and Sony’s G Lens. All these features ensure a really high photography level. The Xperia Z2 can record videos at high speed (120fps at 720p) and also record at 4k resolution. It features lots of preinstalled camera applications from Sony, such as Creative effects, Vine, Info-eye™, Timeshift burst, Social live and Sweep Panorama. The device is waterproof and can take photos underwater for 30 minutes and up to 1.5 m deep. It is also dustproof, with a rating of IP55/IP58 in the respective fields. Sony has included also a digital noise cancellation. The company says it is able to remove up to 98 % of ambient sounds, providing clear and noise-free sound. It runs Android 4.4.2 KitKat and it will be available in three colors: white, black and purple. 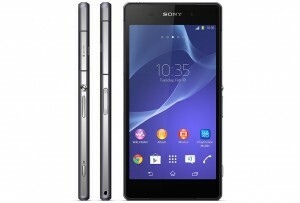 The Xperia Z2 will go on sale on March, with a suggested retail price of 699€.